It is wonderful to see international brands being officially launched in Pakistan . ELF Cosmetics officially Launched their website on August 5th, 2106 & I made my order within one hour of the launch =) You must have seen my haul post here I also received my order the very next day, so thumbs up for delivery service too. 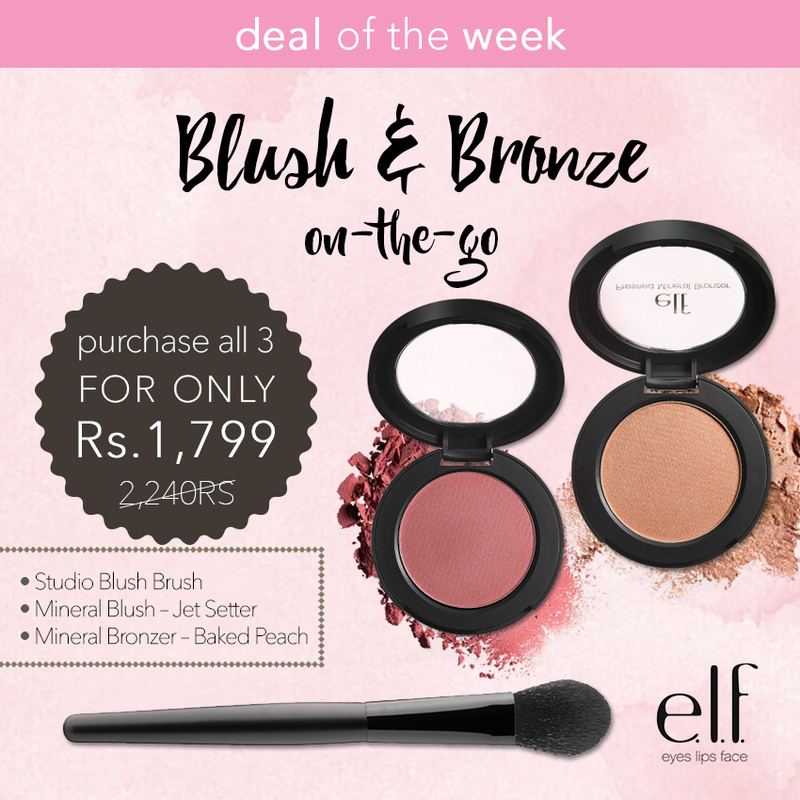 I love how ELF Cosmetics Pakistan is also coming up with Deals and Discounts check here. or at ELF’s Facebook Page Here. The palette has got gorgeous neutral and wearable shades, the palette comes with a dual sided typical applicator & a mirror attached to one side of it, which comes very handy at times. The palette contains variety of finishes – matte, shimmery & satin. The pigmentation is very rich for a few main shadows and then there are those which don’t pay off good color . If you’re a beginner & want something affordable and good, you can keep this an option. As you will get variety of shades and one can easily find favorites among these. You can get one for yourself from ELF’s Site. Thank you ELF for sending it as this will be the first time I will try ELF Primers I have already heard some good reviews about it, but I have yet to test it on my lids. here is what ELF Claims: The e.l.f. Shadow Lock Eyelid Primer helps you to prepare your skin for cosmetics. It absorbs quickly so you can move on to the next step. This e.l.f. eyeshadow primer is crease-proof to give you a smoother appearance. It also allows the top layer to stay on for a longer time. You get 0.11 fl oz in every bottle. You can get more information from ELF’s Instagram Page. Overall, I am quite impressed with the quality of ELF cosmetics , I absolutely LOVE ELF Cream Eyeliner and have been using it since last two years you can read my review here. Its amazing that ELF is here officially as it will give me an opportunity to try and test new products.